The navies of China and Russia will meet this week for the two countries largest ever naval exercise in the Pacific, according to state run media in both Russia and China. 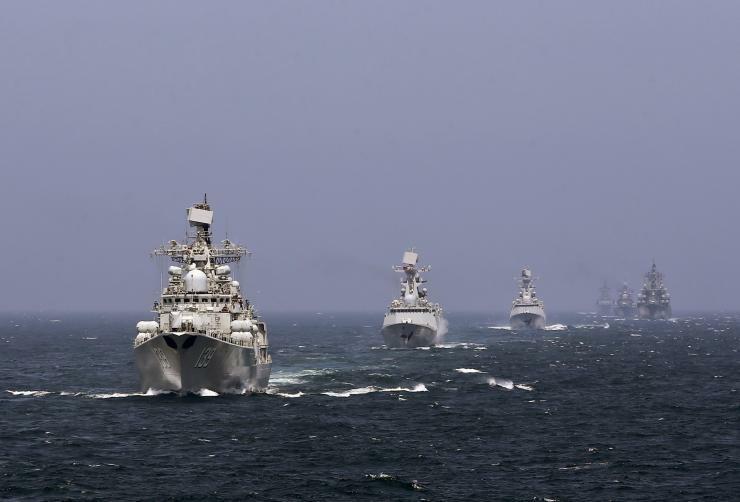 Joint Sea 2015 II is set to start on Thursday and run until Aug. 28 in the Sea of Japan and off the coast of Vladivostok and will comprise of more than 20 ships from the Russian Navy and the People’s Liberation Army Navy (PLAN) and includes a joint amphibious assault drill. “A source close to the operation said navies of the two countries will join forces to simulate anti-submarine combat and air defense and other relevant missions. A joint beach landing of troops is also planned,” read a report in the Chinese state-controlled Xinhua news service. The PLAN is sending seven ships — Type 051C Luzhou-class guided missile destroyer Shenyang (115), Russian-built Sovremennyy-class guided destroyer Taizhou (138), Type 54A Jiangkai II frigates Linyi (547) and Hengyang (568), Type 071 amphibious warship Changbaishan, Type 072A tank landing ship (LST) Yunwushan (997) and Type 903 fleet oiler Taihu. China will also send six helicopters, five fixed wing planes and 200 marines. Russia will send two submarines, 12 fixed-wing aircraft and 16 surface ships, according to the Xinhua report. 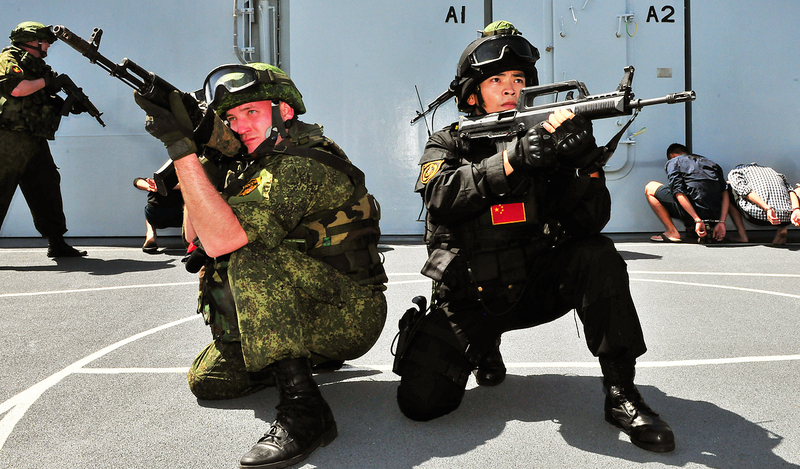 The joint exercise will be the second joint drill between Russia and China this near following the first Joint Sea 2015 in the Mediterranean Sea in April. Ahead of the exercise two Chinese frigates visited the Russian Novorossiysk naval base in the Black Sea — a first for the PLAN. In the last several years China and Russia have worked closer together through naval exercises that gave grown in size and complexity. Late last year, following the announcement of the Joint Sea 2015 series, Russian Defense Minister Sergei Shoigu said the U.S. was a factor in China and Russia conducting more military-to-military exercises in the Pacific. “We believe that the main goal of pooling our effort is to shape a collective regional security system,” Shoigu said in November.